Products to keep your cats healthy, or to heal what ails them, on sale. Cat Health Supplies On Sale! AmazaPet Homeopathic MedicineHomeopathic remedy relieves wheezing and chest discomfort to maintain easy breathing in cats - now available in pill or liquid form! Drinkwell 360 Degree Free Falling Stainless Steel Cat FountainIn hygenic stainless steel! Drinkwell Hy-drate Water Bowl Conversion PumpTurn any water bowl into a fountain! Drinkwell Multi-tier Cat FountainCat drinking from the faucet? This is what she wants! Drinkwell Pagoda Pet FountainA touch of the Orient, in a pet fountain! Drinkwell Platinum Pet FountainHolds 168 ounces of fresh, filtered water! Holds 100 oz. of water! Drinkwell Zen Steel FountainThe simplest of cat fountains for your little Zen kitty! Flea Away Diatomaceous EarthAll natural remedy for flea infestations, plus other insects! Flea Beater 7 Carpet & Upholstery AerosolKills fleas and ticks in your home. Not for use directly on cats. Flea Beater Flea & Tick Yard SprayKills and repels fleas and ticks in your yard for up to 8 weeks! Frontline Plus for Cats Flea and Tick ControlKills 100% fleas and ticks within 24-48 hours of application! 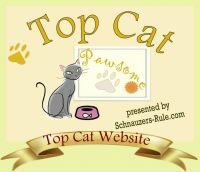 to see more pages of cat health products on sale!